Lenovo K5 Note: K5 Note is updated version of Lenovo K4 which was released in January, 2016. Some features are missing in Lenovo K4 like 4G LTE technology. Lenovo K5 was launched to overcome this problem. K series mobiles are running successfully in world market. Price of Lenovo K5 Note was fixed as Rs. 12,999. Rear camera is designed with 13 MP with LED flash, autofocus, phase technologies and front camera is 8 MP. 3,500 mAh battery with 2 GB RAM. Internal storage capacity is 16 GB along with expandable memory. Xiaomi Mi 6: Xiaomi was established in 2010 and within very short span of time as it brought many successful mobiles into world market. Xiaomi is famous for stylish good looking smartphones. Mi 6 price was not yet fixed and it may be around Rs. 30,000. It is high performance mobile with 64 GB internal memory, 4 GB RAM and best suited for multiple operations. Exciting camera features as primary camera is 23 Megapixels and secondary camera is 8 Megapixels. 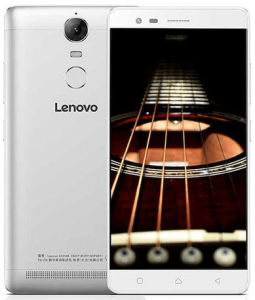 Lenovo Vibe P1 Turbo: Price was yet to fix and it is going to be around Rs. 20,000. 5.5 inch display with high pixel resolution. Rear camera is designed with 13 MP whereas front camera is 5 MP. Provided with high powerful 5000 mAh non removable Li-Polymer battery. VAIO Phone Biz: Biz price was Rs. 28,799. Outer body of VAIO Biz mobile is well designed with minimum thickness. It supports 4G technology. This is first smartphone with windos 10 operating system.